For two-hundred dollars a month I've been able to share a motel-type room with another person for nearly 2 years at the Veterans Integration Center (VIC). We're "homeless" men ~ veterans. What this means to me is ~ cheap rent. I came here with a broken arm on the tail-end of a bout with unemployment. Since then I've started and maintained a part-time government job in the kitchen at the Veterans Admininstraion (VA) hospital. Pretty soon I should move out of here. A lot of fellers staying here are disabled, old, unemployed, or addicted and alcoholic. Some are just plain stupid. Consequently, they're poor. If they weren't living here, they might be decorating the sidewalk infront of your store every morning. They might even rob it on occasion in order to eat. There's a dining room here at the VIC ~ with two or three, free, balanced meals a day available for around 60 would-be-vagabond veterans. It's not the best food in the world, seeing as most of it comes from the Road Runner Food Bank, but it keeps you alive and often is quite good. So this place means cheap rent (or no rent if you can't afford it for a spell) and free food. Also, a secure gate, sympathetic maintainers of peace and security, and (Lordy Lordy) counseling ~ makes this place what it is. A lot of people come here to stay a while as they wade through the bureaucracy for pensions, disability, social security. Without this place, they might die. Some veterans can't walk down the street three blocks without getting into trouble before arriving here. They mellow-out here. They heal here. They're safe here. This "shelter" is cheap rent, free food, and a sanctuary and refuge. If the State of New Mexico were to let this place rot-away or drop-out of existence due to lack of funds, that would be another drop or two in the swinging bucket of cancerous fascism in America. What good would that be? 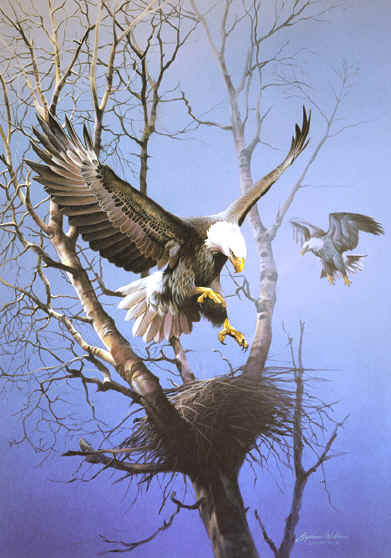 The left & right wing of America keep the eagle afluttering!